IBRC Mortgage Holders are holding a peaceful protest outside Leinster House on Wednesday 26th February at 1.00 p.m. We are totally opposed to the proposed sale by KPMG of the former Irish Nationwide (now IBRC) mortgage book to an un-named third party or vulture fund. We are calling on all mortgage holders, their families and friends to come out next Wednesday and join us in this peaceful protest. We understand Minister Noonan along with KPMG are appearing before the Finance Committee on Wednesday to answer questions on the Liquidation process. Approx. 13,500 Families could potentially lose the protection of the CCMA and the Financial Ombudsman and could be left wide open to interest rate hikes if the proposed sale to an unregulated third party proceeds. 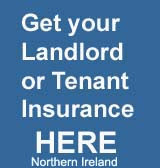 We will be joined by David Hall of IMHO who fully supports our cause who stated "This could become a new way of dealing in a very harsh way with distressed mortgage holders. Many other mortgage books could go this way and this could be an outsourcing of repossession." The issue was first brought to media attention by Denise McCormack from Wexford who says "I took out a mortgage with INBS and I am not at all happy that my mortgage can now be sold off to just anybody. I never agreed to it when i took out my mortgage and I certainly don't agree to it now." We sincerely hope people will come out and show their solidarity because they could find themselves in a similar position in the future if further loan books are sold by other banks to other such vulture funds. Meanwhile in this morning's Irish Times "Kieran Wallace and Eamonn Richardson of KPMG appear before the Oireachtas Finance Committee. Around 13,000 people who bought their homes with money they borrowed from the Irish Nationwide fear that they will have no protection if those loans are sold to overseas investors as part of the wind up of IBRC, which took over the building society’s business after the financial crisis. "